What is Generation Pup all about? Dogs play an important role in our families, and are irreplaceable in our hearts and lives. It is devastating when they are injured, suffer from disease or have behaviour problems which impact on their wellbeing. Research is essential to better understand how and why these problems develop, so we can look for ways to prevent and treat them. 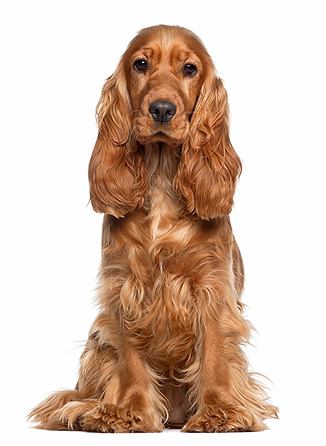 Generation Pup is a unique type of research project – known as a cohort study – where lots of individual dogs are followed over their lifetime. This has some big advantages over other approaches, as it enables us to investigate whether events or environments early in life influence the development of conditions as dogs get older. The results of the study may suggest preventative measures that can be put in place, or lead to new approaches for therapy or treatment. However, for this type of research to be successful we need to recruit lots of puppy owners on to the study. This is where you can help us – by encouraging the new owners of your puppies to take part, you can have a massive impact on the success of the project. We would really appreciate your help in encouraging puppy owners to sign up to the study. We are hoping to reach 10,000 puppies of all breeds and cross breeds enrolled in the Generation Pup community so we have enough data to answer a multitude of important health and wellbeing questions about the dogs of our generation. You can help us achieve this target by telling the new owners of your puppies about the study, giving them printed information, or directing them to the study web-site. How do I get hold of recruitment material for owners that I can share? If you are interesting in having Generation Pup recruiting posters or flyers, please email generationpup@dogstrust.org.uk, and we will provide you with posters you can print yourself or, alternatively, we can post posters to you. We will also be able to provide instructions and digital copies of the posters if you wish to help us recruit via online methods. I am keeping one or more of the puppies I breed, can I sign up? Absolutely! We would love to have you and your puppy registered on the Generation Pup survey. Anyone who is 16 years or older with a puppy of 16 weeks or under and living in the UK or Republic of Ireland can sign up. 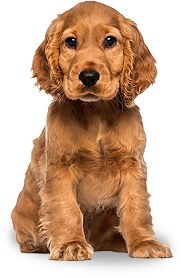 When you register with the project, you need to select the ‘Owner of a puppy of 16 weeks or under’ option when asked what you are participating as. This option takes you through to the consent forms and your dashboard where you can start to add information about your puppy. Can I find out more about how Generation Pup is progressing? If you would like to be kept up to date with the latest news from Generation Pup you can sign up to receive e-mail updates. Alternatively, you can follow us on facebook.com/generationpup and twitter.com/generationpup to receive regular updates. You can also visit this website for the latest news.